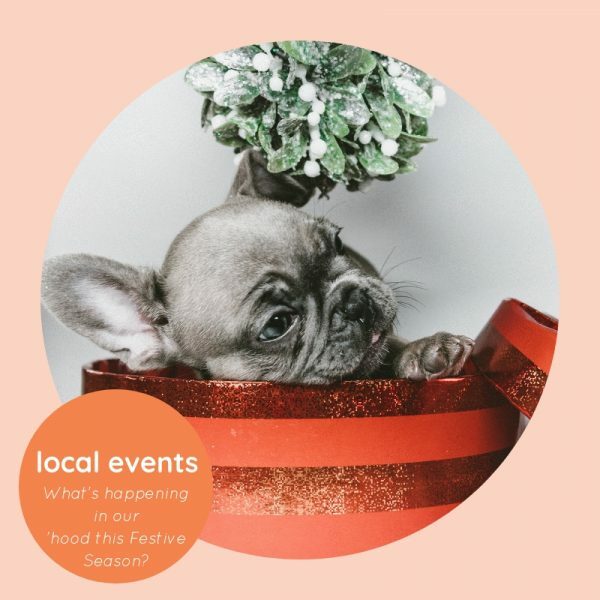 There’s so much happening in the ‘hood in the lead up to Christmas! Here’s a selection of events to help get into a festive mood or grab some great Christmas gifts, most of which are free (the events, not the gifts of course!). All have Facebook Event Pages but some events need tickets or rsvp’s so please click on the links and check for full details. Enjoy! Christmas Carols at Perth College from 5 to 7pm. The Gourmet Market on Beaufort, Cnr First Ave & Beaufort Street from 3 to 8pm. Arty Farty Children’s Christmas Party, Newcastle Street Leederville from 5 to 9pm. Santa Visits Engine Room 2018 at Engine Room Espresso, North Perth from 8:30am to 12pm. Christmas Carols at the Farm, Peninsula Farm Maylands from 5:30 to 7:30pm. Have we missed one of your faves? Leave a comment below to let us know! Wishing you all a safe and happy festive season. What’s on in the ‘hood this weekend?